We often hear someone described as a born leader. Does that mean they come out of the womb a leader? The fact is that we were all born with leadership skills to some degree. As we matured, we learned to walk and talk. By also as we matured, we learned leadership skills. Leaders got to pick the game and teams on the playground. In a group setting, such as a church committee, leaders were the ones who people looked to for direction. In a business, the leader may be the boss, but they will not be effective unless they are respected and trusted. Our leadership skills are developed as a result of our exposure to many sources. You may have learned from a mentor. In a family business the mentor could be a parent. They might also be a boss or a trusted coworker. You learned through trial and error. Things that worked, you continued to do and things that didn’t, you stopped. You may have attended a seminar or workshop and found some techniques to use. The important idea is that you developed those skills, you were not born with them. Leadership starts with you. Leadership of others begins with leadership of yourself. To master the art of self-leadership, you must have the ability to establish a specific direction for your life and to proceed in that direction with the self-confidence that comes only to one who knows where they are going. Setting personal goals and plans is part of self-leadership. Those goals should include goals on your professional side but also include goals on your personal side. Do you have a goal for the amount of time you spend with the family each week? Do you have a physical fitness goal or continuous learning goal? These types of goals provide the balance in your life which provides for greater productivity in your professional life. As an independent sales person, my success or failure was based on my own self-leadership. I had no staff to manage. No one set my schedule or priorities other than me. I had to develop a professional approach to developing business with potential clients. Some may call it time management and some may use other terms, but it starts with leadership. Much of our business day we spend in a reactive mode. Customers need to be service. Our product or service needs to be delivered. Employee issues need to be handled. Handling these daily issues is management. 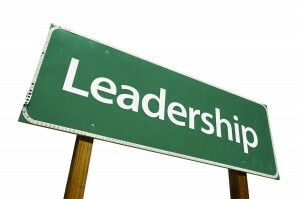 One can never diminish the importance of management, but within each truly successful business is leadership. It has been said that effective management without effective leadership is like straightening the deck chairs on the Titanic. Realize that you own a wealth of untapped potential. List the qualities that describe a leader. Determine which of those qualities you want to further develop. Learn how to build self-motivation through desire and purpose. This entry was posted in Blog, Financial & Insurance, Healthcare, Small Business on May 11, 2016 by admin.